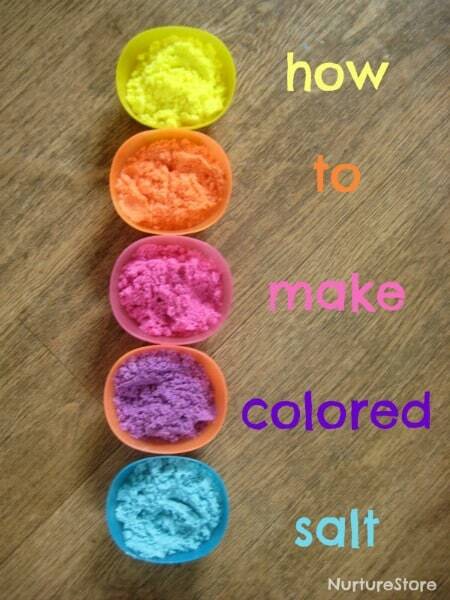 DIY colored salt is really easy to make. All you need is some ordinary table salt and some paint. 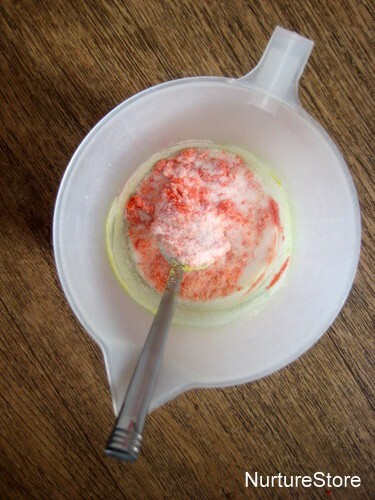 We used craft/poster paint (sometimes called tempera paint), and squeezed a little into a jug of salt. Stir it all together to get an even color, and leave to dry over night. 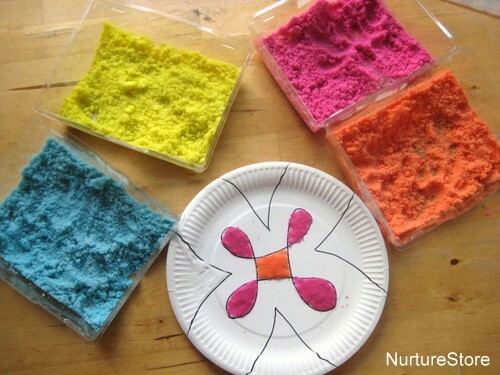 It’s really that easy, you can make vibrant colors, and we found that, once the salt had dried over night, none of the color came off on our hands as we played. 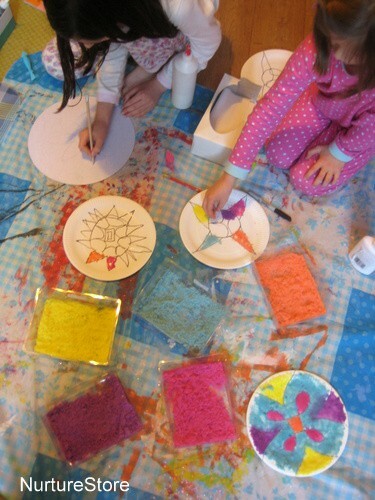 Rangoli are Indian art designs and are traditionally made at the Diwali festival (which is taking place on November 3rd 2013). 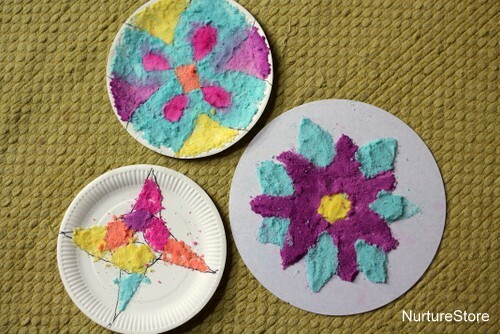 They’re usually made outdoors on pavements or outside houses, but for our mini rangoli patterns we’re making them on paper plates. This means each child can make a design of their own. 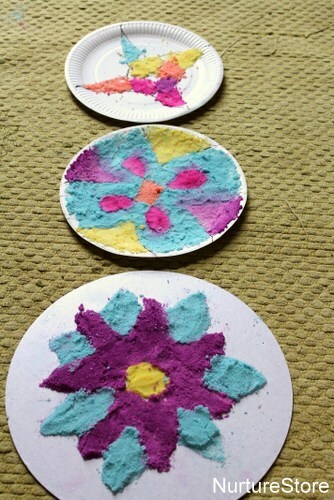 You can still display them outside if you’d like too, or if you are in a classroom, each child can take their own rangoli home with them. 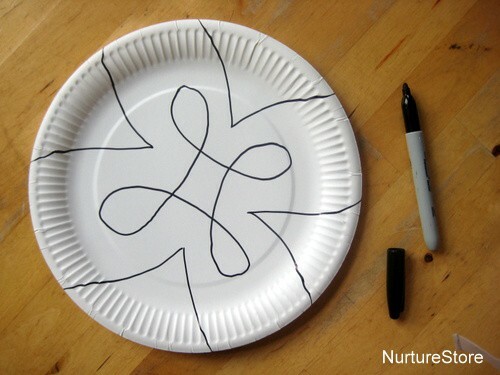 To make your rangoli, start by drawing out a design on a paper plate. 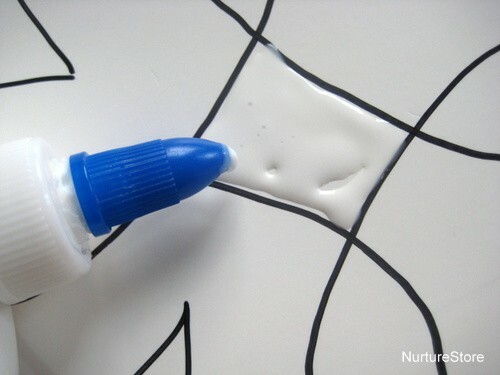 We found simple, bold designs were best – anything too detailed loses it’s impact when you come to add the salt. and fill it with your choice of the colored sand. 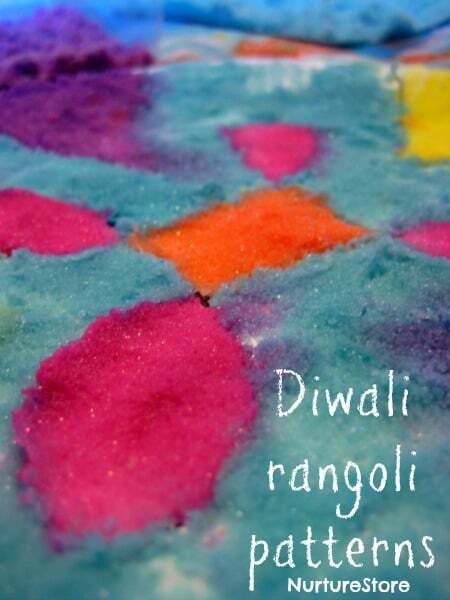 Orange, pink, blue and yellow are great choices to reflect the colors of traditional Indian rangoli and look fabulous! We laid a wipeable tablecloth out on the floor to make our designs. And listened to this music while we created. 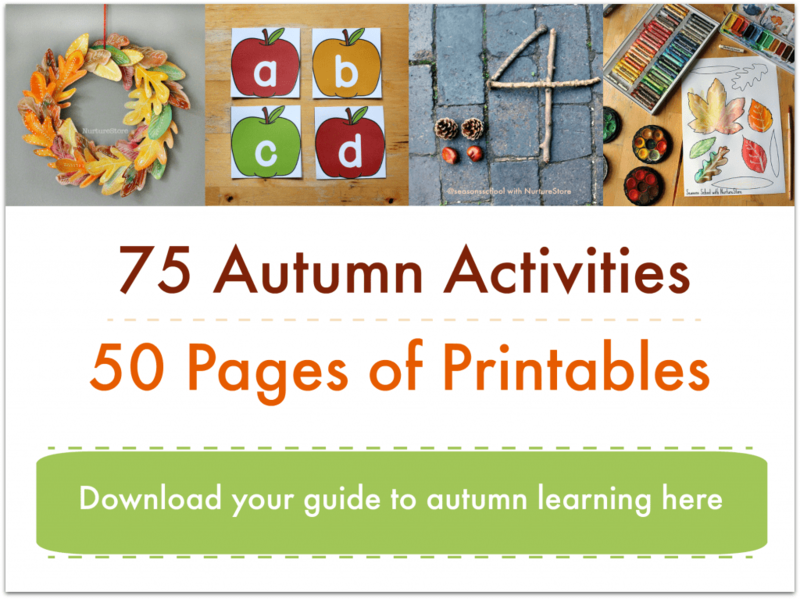 CLICK HERE TO DOWNLOAD YOUR AUTUMN PRINTABLES NOW! HAPPY DIWALI….ENJOY WITH SWEETS N CRACKERS. Thank you sakshi! Happy Diwali to you too. Is this ok to be used in salt dough & oven baked .. does anyone know? Thank you Anjali. Happy Diwali to you and your family too!